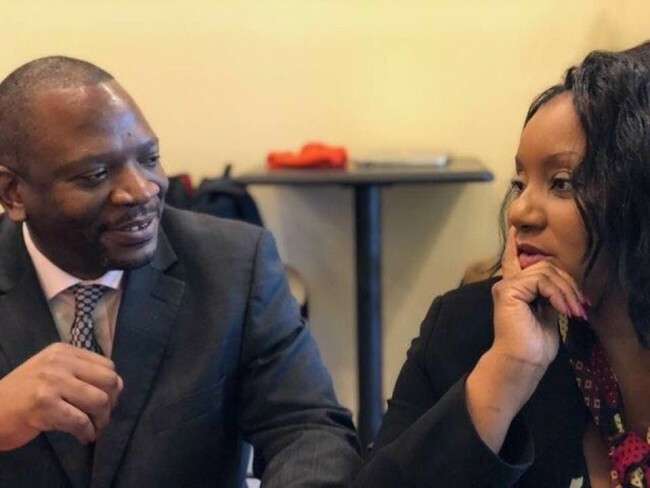 Veteran broadcaster Maureen Nkandu has confirmed that she is dating pastor Cosmas Chileshe, the spokeperson for Zambian embassy in the United States. 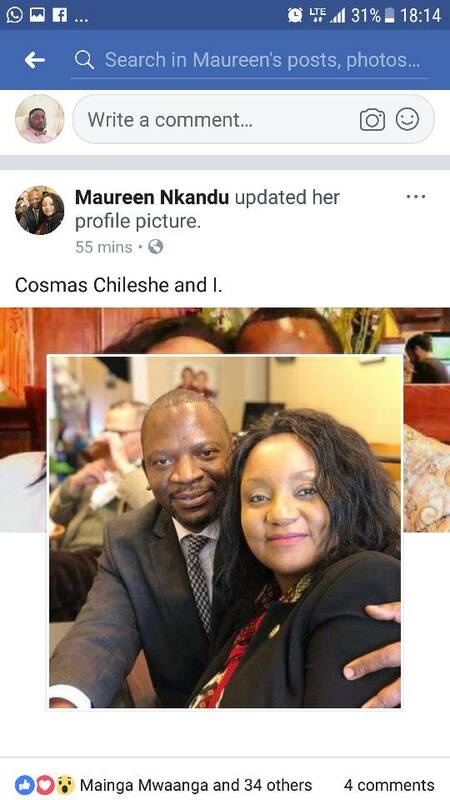 And pastor Chileshe has also confirmed that Maureen is his lover. “Meet Maureen Nkandu, my best friend. For the record, I am not 35 years old. My eldest child is 22”, said pastor Chileshe. Both were reacting to revelations by the Zambian Watchdog earlier that Chileshe has abandoned his wife and sent his children packing in preference for veteran media journalist Maureen Nkandu. Pastor Chileshe is in the process of divorcing his wife he has been married to for 12 years and has 4 children with. The 22 year old child he is referring to is one of the two daughters from his first but failed marriage. With his current or outgoing wife Mubanga, he has 4 children including a 4 months old baby that was born in their diplomatic mansion in Washington. It’s this toddler and 3 other children that he has kicked out together with their mother. They are now languishing in Kitwe while his lover-Aunty Maureen Nkandu has moved in. For her part, Maureen says the articles published by the Watchdog are generated by another diplomat whom she claims she rejected and is now jealousy. Maureen has a 30 year old daughter so the hint that pastor Chileshe is in the same age group as her daughter has seriously offended her. Pastor Cosmas Chileshe was a reporter at Times of Zambia. He was fired because of alcohol. He ambadoned his wife in Garden township whenever he got his salary. At some point he deserted both his job and home leading to his dismisal. Later he found himself with Danny Pule at Dunamis Studios but because of alcohol he differed with Mr Pule. Bu Through Pule’s PF connections, he found himself at ZNBC. ‘The man has a general social weakness especially with women…he just ceases to think. It’s an old problem,” said a source who is close to pastor Chileshe. He left Times of Zambia as a junior reporter. His only education is a one year diploma obtained from the defunct Norma Jean College which coincidentally was owned by Maureen Nkandu’s father.